No one can deny the FNM struck the right pitch when its message of transparency and accountability echoed through every island of the archipelago. One year and five months later, a proverbial mirror is speaking not only to those candidates who ran on lies but to every electorate on every island and it’s saying ” so you see, talk is cheap and money buy land “. The FNM’S biggest mouth piece, Omar Archer coached at the time by the white special interest and Fred Smith made a grandiose display of deception on public media casting doubts in the eyes of many against the PLP. This can ever happen again !! There is an old saying that goes “When you play with puppy, they will lick your face”. Six months into the FNM reign Omar was not fed his food on time and he vowed to bring down Minnis and his entire regime. Archer had grown so much out of control until he was hauled before the courts for levying threats against a sitting Judge. Here is where is gets muddy, delusional and really conflicting. A government whose leader prides himself on being the emperor riding in on a white unblemished horse and the gate keeeper to stamp out corruption has made a man who threatened a sitting Judge the registrar of contractors within the Ministry Of Works. One can only imagine the message this sends to the electorate. Is this really happening where sitting judges are threatened and the government in turn gives the defendant , the accused a top notch post ? Doesn’t this sound like a John Ghatti story straight out of the playbook of mafiarism? This is not the first time the FNM has had to have a restless night in the bed of politics as they were made to lay their heads reluctantly on a pillow of hypocrisy but makes the claim that the Bahamian people are still in bed with them. Mr. Minnis this is the “ME TOO” era and while we were in bed with you and the FNM we want you and the FNM to know you’ll touched us inappropriately. *You sent 4000 Bahamians home from work. * You evicted poor Bahamians out of their homes but allowed the Haitians to go untouched while building illegally. * You raised VAT to 12% in a sluggish underperforming economy. * You allowed Adrian Gibson to take an entire board to the U K and in turn threaten nationwide disconnection for unpaid water bills. *You committed fraud right in the eyes of the Bahamian people with the Oban saga. * You left taxes untouched with the white home owners but you kept touching us inappropriately. *You said it was our time yet you brought in Dominican women into the country, paid them To clean while our women are left unemployed. 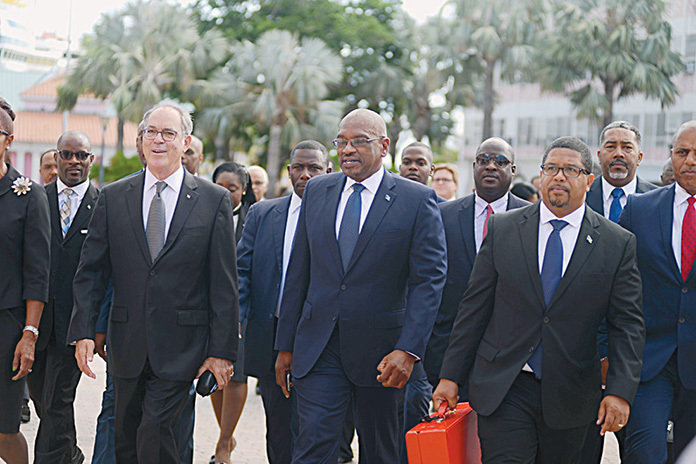 *You must make it as a mandate for Brenzil Rolle to explain to the Bahamian people how a settlement was reached with the people’s money to pay your first cousin Ashley Cargill former NIB director $300,000.00. This is your Bed Minnis, lay in it and rest your head well on the pillow of hypocrisy ! Act like all is well and like we are still in bed with you. Eventually you will come to your senses sooner rather than later and realize truly What a lonely peasant you are. Minnis you touched us inappropriately and you have been weighed in the balance and found wanting. Look into that proverbial mirror and you will see your day of reckoning is closer than you think ! Previous articleDefense Force Officer failed to stay on the scene of that double fatality back on September 16th we are learning – SHE WILL BE CHARGED TODAY!!! Next articleBahamians are becoming more and more disgusted at the state of affairs!